I love MAC products and have a lot of their products and if like me you're a lover of MAC products you'll know that they bring out numerous collections throughout the year and also new Viva Glam lipsticks and lip glosses, and like me you'll be excited to learn of such new collections and Viva Glam lip products and some things get me more excited than others. The new Viva Glam Miley Cyrus has got me VERY excited!!! On January 22nd (North America) and February 12th (International) yes we have to wait...again!! The new Viva Glam lip products are launching and they are amazing, I am in love! How beautiful are they, I will almost certainly definitely be picking up the lipstick, lip gloss isn't my thing but oh my, look at the lipstick and I have to admit the lip gloss is pretty amazing too. 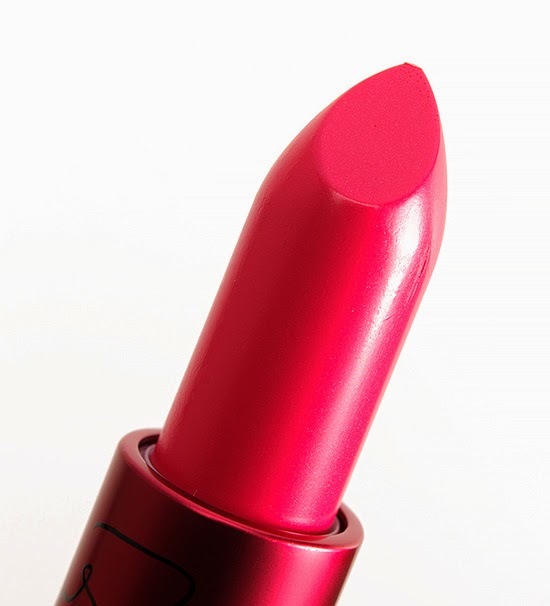 The lipstick is described by MAC as Hot Pink and is an amplified finish which just happens to be one of my favourite finishes, so it would be rude not to pick one up wouldn't it? 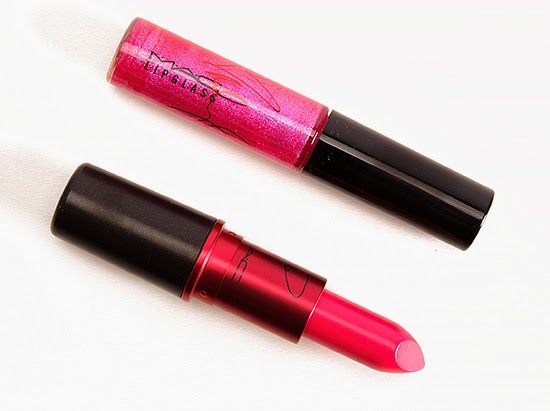 And the lip gloss is described by MAC as Hot Pink with sparkling pearl and is one of their lip glasses. Every penny made from the sale of the Viva Glam products goes towards helping women, men and children living with and affected by HIV/AIDS so it's a very worthy cause. I am super excited for these to be launched here in the UK, it's a little annoying that we have to wait until 12th February for them but thats 2 days before my birthday so I think a happy birthday to me might be in order, sounds like a plan don't you think? Will you be picking up any of the Viva Glam Miley Cyrus lip products? Have you tried any of the other Viva Glam lip products? 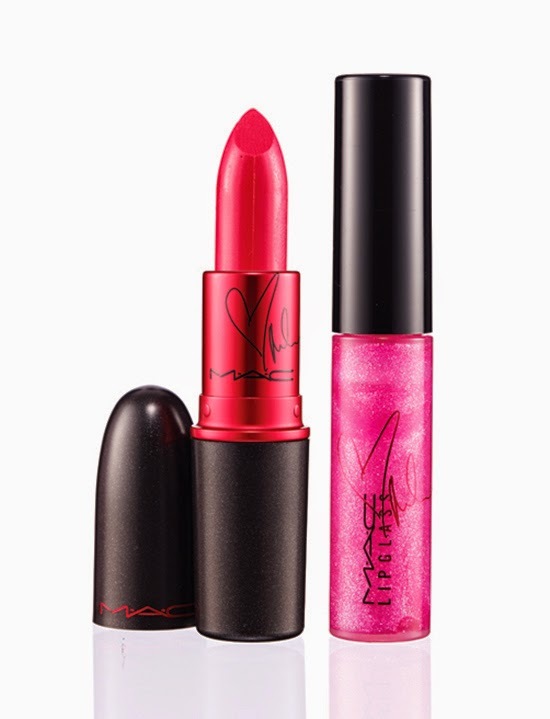 I also love Viva Glam Nicki its amazing, but I think Miley may have just taken over. Whether you love or hate Miley Cyrus, you have to admit, these products are without a doubt beautiful.